This Week in Knitting: Anyone for a Vodka Lemonade? I love checking out new patterns, what I love even more is being of the first to knit new patterns (mainly so that in the future I can say oh I was knitting that before it was considered 'in'). So I thought I would start a new section dedicated to the latest patterns that I think you'll love. Some were released in the past couple of days and others were released in the past couple of weeks. I thought this could also serve as a notebook, where I write little 'notes' about the pattern. Maybe what yarn(s) I'm going to use and where I can get them from for the cheapest (UK & US, for all the american readers!). "Vodka Lemonade is a springy sweater with a vintage vibe. Seed stitch and lace details add texture and a feminine touch, and the classic styling ensures that it will go with jeans and a tank just as easily as a sundress and sandals"
Next up is a brand new design by Annie Riley. 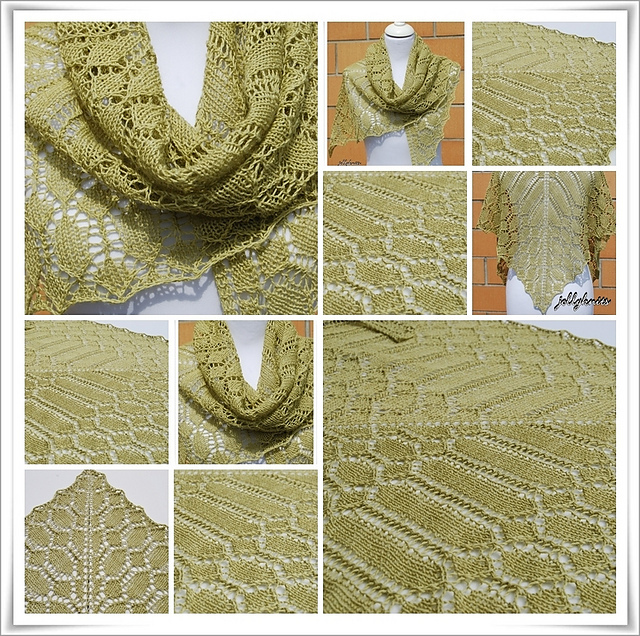 Annie has only been knitting 3 years, but has already designed over 20 beautiful patterns. Her latest design, Antique Cables Cardigan, will be published on the Knit Picks website. It is not yet available for purchase, but as soon as it is I will let you know! "This isn't any old cardigan pattern. There's a story behind it, and it's one I would like to share with you. One day at one my local yarn shops I met an older lady who, when she found out that I designed knitwear, asked if I could help her with a problem. I wasn't sure what she meant so I asked. She proceeded to tell me about a 30-year-old cardigan that was damaged in a house fire -- and was the only one her husband would wear. She asked if I could recreate the design so she could knit a new one for her husband. I was really unsure, but told her I would give it a go. I knew it would be a lot of work, and it was. But with the knitting back-up of my sister and good friend, it's done. After lots of stitches, tinking, math, crying, laughing, and watching myself-set deadlines fly past, it's done. And it turned outto be a great cardigan for men or women!" Now, I'm not sure how many of us could attack such lace splendor but I think the results of those who knew a thing or two about it would be beautiful. That's it for this week, tune in next Saturday for more news in the world of knitting! Have a fab weekend everybody! I like the lemonade sweater. Very pretty. Great idea and I love Vodka Lemonade. I'm always looking for a good cardi pattern for summer and this might be it! Love your post and really enjoyed being introduced to new patterns. I'm tempted to cast on the Vodka Lemonade but will have to wait until I finish my own challenge of my stash down. I really love the look of Vodka Lemonade, it might be just what I'm looking for. Thank you for posting.